Here’s a stubborn mathematical fact: each quintile can only contain 20 percent of the income distribution. If you want more people rising into the top quintile, you need more people falling down. Just as there is intergenerational stickiness at the bottom of the income distribution, there is also stickiness at the top. A number of factors, combining to create a glass floor, prevent kids born at the top from falling, even those who are less skilled. A new study from the UK’s Social Mobility and Child Poverty Commission,Downward Mobility, opportunity hoarding, and the ‘glass floor,’ probes this question. Abigail McKnight, from the London School of Economics, examines the relationship between income and social class at birth; and income, social class, and educational attainment at age 42. She draws on data from the British Birth Cohort Survey, which follows roughly 17,000 people born during a single week in 1970. Her paper also explores the distribution of skills at ages five and ten, and other childhood factors, to see how far they influenced outcomes at different points on the income distribution. 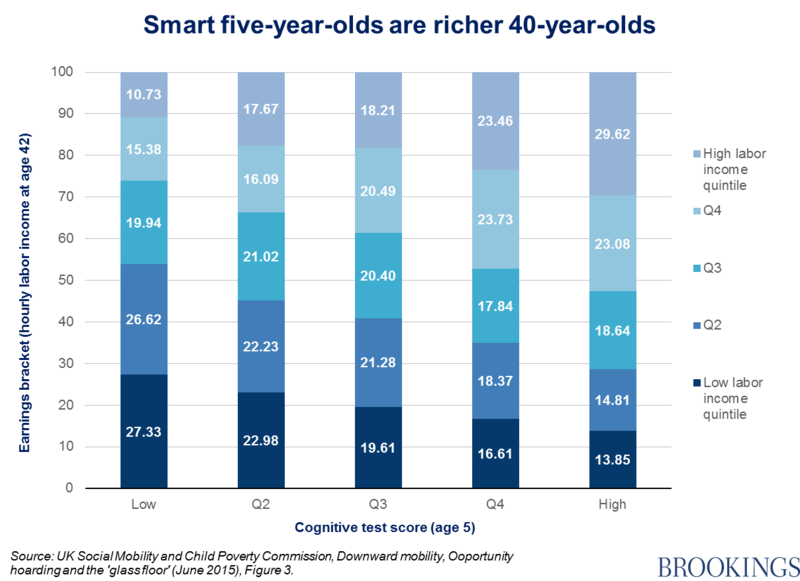 So, having better-off parents predicts higher test scores at age five, which in turn predicts higher adulthood income. College degree. Kids struggling at five but going on to get a college degree were 17 percentage points more likely to succeed as an adult than those ending up with low levels of education. 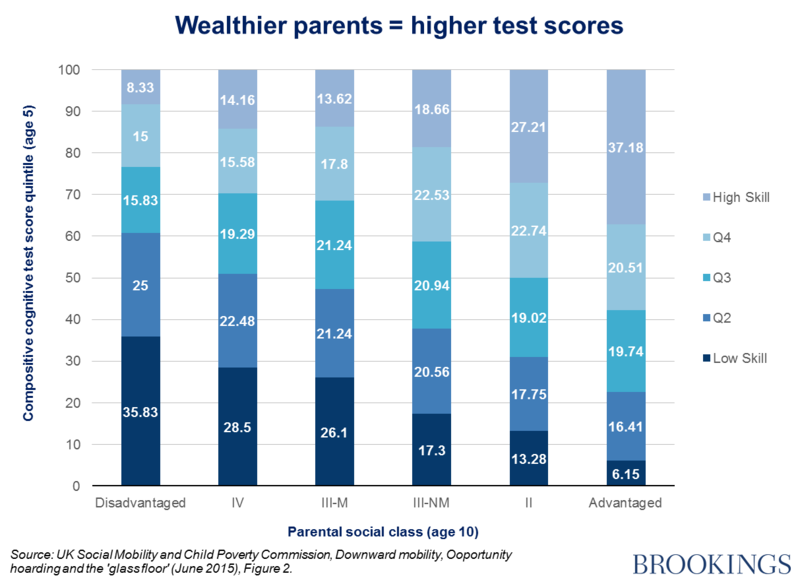 So, is the better performance of the initially low-scoring kids from more affluent backgrounds unfair? That depends on your definition of fairness, which we will discuss in part 2 tomorrow.